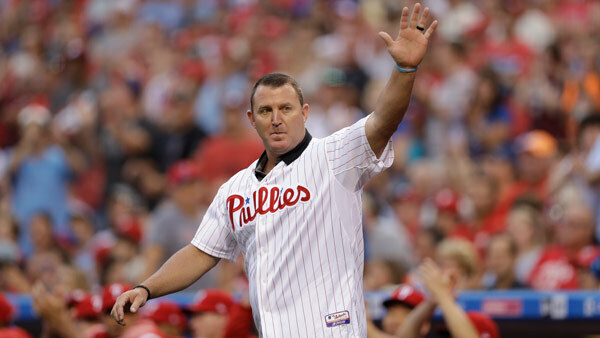 NEW YORK (WPVI) -- Chipper Jones, Jim Thome, Vladimir Guerrero and Trevor Hoffman were elected to the baseball Hall of Fame. Jones was a force for most of the Atlanta teams that won 14 straight division titles - his election puts another member of those Braves clubs in Cooperstown, along with pitchers John Smoltz, Tom Glavine and Greg Maddux, manager Bobby Cox and general manager John Schuerholz. Thome hit 612 home runs, putting him eighth on the career list. The five-time All-Star played for teams including the Philadelphia Phillies and the Cleveland Indians.